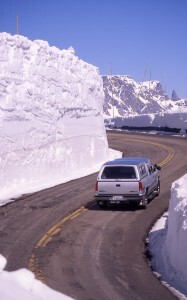 The Beartooth Ranger District will delay opening five roads scheduled for April 15thdue to winter snow cover. The roads include West Fork Rock Creek Road #2071, Silver Run Road #2476, Lake Fork Road #2346, Main Fork Rock Creek Road #2421, and Robertson Draw Road #2008. Snowpack for the area is 100 to 102% of average for this time of year. The Beartooth Mountains received over two feet of snow this week with more snow and rain in the forecast for next week. Continued snow and wet weather will delay seasonal road openings until the roads are snow free and firm enough to travel over. April 15th is also when seasonal road and motorized trail closures go into effect for spring break-up in the Pryor Mountains. The roads include Pryor Mountain Road #2308, Red Pryor Road and Trail #2091, Stockman Trail #2850, Inferno Canyon Trail #2018, King Canyon Trail #2011, and the roads or trails that connect to them above the seasonal closures. The Pryor Mountains also have an average snowpack. Continued snow and wet weather are affecting access to these roads and trails below their spring closure locations. “We have continued to get more snow this spring which is going to delay motorized public access into many areas of the Beartooth Ranger District. We ask the public to help us by honoring these closures and staying off roads and trails when they are too wet to travel on. Please check back regularly for updated road conditions before making plans to travel onto the Forest.” said Ken Coffin, District Ranger.